With the passage of time, the type of our storage devices has been changed in the incident time’s floppy disks was used to store and transfer data, after that other device such as CDs and DVDs take the place of Floppy disk to store and transfer data between devices. Now the CDs and DVDs have been replaced by the USB. A USB is a small storage device which can store a large amount of data, the size of a USB is less than our forefinger, but it is also in the replacement age on the SD card because they are smaller and cheaper. Usually SD cards are used in our smartphones which are used to store data of our mobile not for transferring the data between devices, but if you want to transfer data using your mobile’s SD card then you can also do this either by using a Card Reader or a data cable, but these things cannot always be kept with you, if you have the same problem then you will have the question can I transfer data using Wi-Fi (wirelessly) between computer and mobile phone, YES you can do this very easily, transferring data between Android phone and PC will not need any special hardware changes or do not have need of any other thing of this kind, in fact, we will do this by using some free apps that can transfer our phone’s data to our Laptop or (vice versa) quickly on the Wi-Fi signals. Here in this guide, we will do this by using a very popular app which can do this task very easily and you can transfer files, documents, images, wallpapers, videos, songs, audios and everything between your Android phone and your PC very easily by using app names as Software Data Cable. Software Data Cable is the very popular app for transferring data between devices. You can not only receive but also share files between your devices very easily with a relatively fast speed over Wi-Fi network. Software Data Cable has many features which other apps do not have that’s we have selected this here I am going to describe some key features of this app. 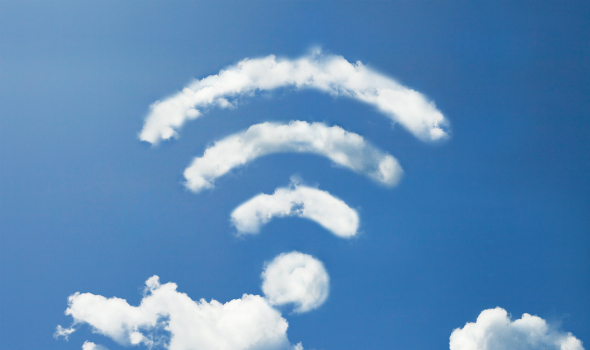 Connects the devices (Smartphones and PC) on the same wireless network (Wi-Fi). Enables to share data between Android and PC very smoothly. There is no need for any Mobile Data Plan for transferring data. Can be used to connect both with the computer (Laptops) and other smart devices of this kind. There are more features in this app due to short of time I cannot describe all other features but here are some requirements that you should see. A Wi-Fi enabled Android devices and a PC (Laptop) in case you want to transfer files to your computer then you have need of Wi-Fi adapter on your computer. Both devices on the same Wi-Fi network. Software Data Cable App installed on your Android phone. (Open Play store on your Android device and search for the Software Data Cable there choose the first option from the results. Step 1. First of all, there will be Software Data Cable App installed on your Android device as I have also told this in the requirements. Step 2. After installing the app just launch it and click on the START SERVICE button. Step 3. If you are using this trick for the first time, then you have to create a new network to do this so just click on the CREATE NETWORK button. Step 4. After following the above steps the Tethering or Hotspot will be activated on your Android device the app will give you an SSID and a password note down these details on paper because it will be used later and click on the DISMISS button. Step 5. Now open your laptop or Computer (Wi-Fi enabled) and search for the available Wi-Fi networks find the network which you had created in step no. 3. Step 6. Enter the password to connect to the network. 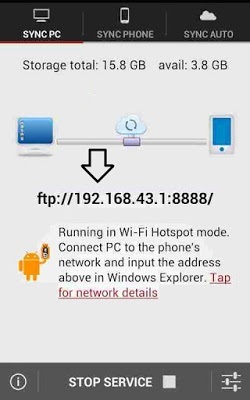 An FTP address will be shown on your android phone just note this one a notepad. Step 7. Now it’s time to connect both devices so just open the Windows Explorer on your computer and enter the noted address in the address bar. That’s it you have successfully done this now you can see all the files & folders from your Android phone on your computer screen and can also transfer files between your devices very quickly. So, friends this was all about How to Transfer Files between Android and PC Wirelessly this was a fresh and easy trick to transfer files this is very useful at that times when you do not have a data cable or card reader with you and you want to move files between your devices. If you have any problems, then ask me but if you like this method then click the share button to share this with your friends on your favorite social sites.